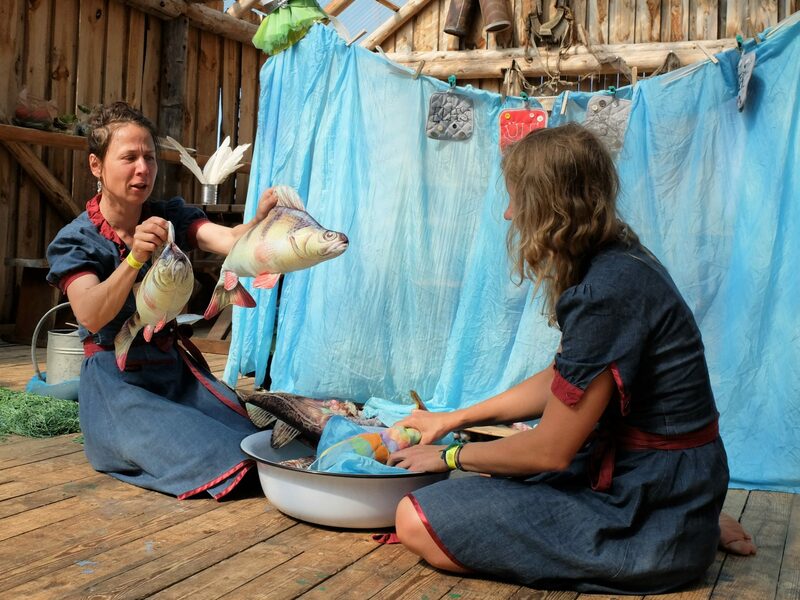 On October 3–7, the children’s art festival Kutitus will be held at the Espoo Cultural Centre, where the Teoteater’s Finnish-language production “Just Like Water” for the whole family will be played. Based on Donald Bisset’s children’s stories, the play tells a humoristic and playful story of the sea and its inhabitants. The River of Words carries words towards the great Sea of Stories. The words must flow into the sea in the right order because every story begins with the familiar phrase: “Once upon a time…” Suddenly a misbehaving fish splashes the water, causing the words to mix up. This is the starting point of this delightful play about the sea and water, based on Donald Bisset’s stories. We find out how badly a certain little fish wants a red beanie. And once upon a time, the sea was so full of fish that they kept bumping into each other. In one of the stories, a baby penguin ends up too far away from home because it wanted to see how big the ocean is. The story gets a happy ending when the penguin returns home in a turtle soup can. Finally, an old herring sings to the children about the salty waters of the sea. The performance is in Finnish and suitable for all ages. Played on October 3, at 9 a.m. and 10.30 a.m.